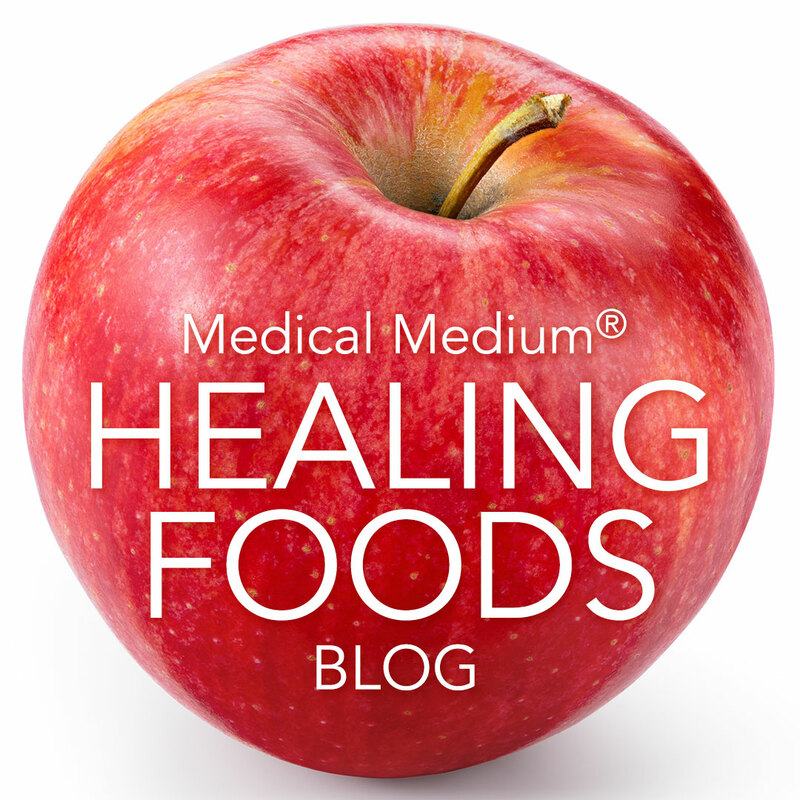 Hello and welcome to the Medical Medium Blog articles: Healing Foods. I'm so happy to have you here. Visit this blog anytime for inspiration and valuable insights on foods that will help you to heal and feel your best. Happy reading! Sometimes simple is all you need—or have time for. When you’re running out the door or too busy to follow a recipe, you don’t need to sacrifice nutrition or flavor for convenience. Instead, pull together these quick and easy food combinations specifically geared to support your healing process. Better yet, prep a few of these pairs ahead so that when time is of the essence, all you need to do is grab them and go. Cauliflower florets + Apple slices: this combination brings inflammation down in the thyroid while providing new memory to the thyroid’s cells, teaching them to be independent after they may have grown sluggish from thyroid medication dependency. Tomatoes + Spinach: together, these foods strengthen the liver at the same time that they flush the lymphatic system and build up the immune system to fend off a viral load that may target the thyroid. Celery + Dates: combining critical mineral salts with high-quality, bioavailable glucose, this is a powerful adrenal restorative to provide backup superpower for the thyroid. Banana + Dulse flakes: iodine, potassium, and sodium together in this snack strengthen the entire endocrine system and central nervous system against neurotoxins and their ill effects. Kale + Mango: this combination of alkaloids and carotenes allows them to easily enter the thyroid, helping to stop the growth of nodules and cysts there. Pear + Arugula: wonderful for protecting the thyroid from atrophy and shrinkage. Together, these foods boost the thyroid’s frequency abilities. Wild blueberries + Papaya: provide fighting power to stop, reduce, and prevent thyroid tumors (both cancerous and benign). Restore thyroid tissue after part of the gland has been surgically removed or killed off through radioactive iodine treatment. Tangerine + Raspberries: as a team, these foods help prevent the calcium loss that can occur as the thyroid virus forces the body to use its calcium stores to wall off the virus in nodules and cysts, both in the thyroid itself and throughout the body. Help prevent osteoporosis. For more information on the true causes of thyroid problems and how to heal, check out the New York Times Bestselling book Medical Medium Thyroid Healing: The Truth behind Hashimoto's, Graves', Insomnia, Hypothyroidism, Thyroid Nodules & Epstein-Barr. For decades a grassroots global healing movement has been building: drinking 16 ounces of straight celery juice on an empty stomach every morning. Today, millions of people around the world are participating in this healing practice originated by #1 New York Times Bestselling Author Anthony William, Medical Medium, and experiencing the benefits for themselves. Why? Because celery juice, when consumed in the right way, is a powerful and miraculous healing remedy and people are noticing the benefits it provides, such as clearer skin, improved digestion, less bloating, sustained energy, better mental clarity, weight loss, and stable moods, just to name a few. People are healing from all kinds of acute and chronic illnesses, including Hashimoto’s thyroiditis, eczema, psoriasis, acne, SIBO, constipation, chronic fatigue syndrome, blood sugar issues, migraines, acid reflux, high blood pressure, addictions, adrenal issues, gout, allergies, autoimmune conditions, and countless others, from drinking plain celery juice daily. Celery juice is not a passing trend or fad. It will still be here in twenty years time because it works. It’s truly a miracle remedy. Celery juice is not backed by funding or an interest group with an agenda. The Global Celery Juice Movement has grown rapidly because it actually works. Whether you suffer from a chronic illness or symptom or simply want to do what you can to prevent future illness, celery juice is here to support you. Watch this video to find out more. For more information on how celery juice helps all kinds of chronic illnesses and symptoms and how to get the best results from it, order your copy of Medical Medium Celery Juice. Spirulina is often deemed the most nutritionally complete of all foods and has countless uses as a supplement for maintaining good health and preventing diseases. This is because it contains a plentiful supply of many important nutrients and antioxidants, including protein, complex carbohydrates, iron, and vitamins A and K, as well as B complex. It’s also rich in chlorophyll, fatty and nucleic acids, and lipids. Spirulina is rich in gamma-linolenic acid, or GLA, a compound found in breast milk that helps develop healthier babies. Spirulina provides a profusion of carotenoids such as best-carotene and yellow xanthophylls. In fact, spirulina is the richest beta-carotene food. The beta-carotene found in spirulina is ten times more concentrated than carrots. Iron is essential for building a strong internal system, yet it is one of the most common mineral deficiencies (zinc is the most common). Spirulina is rich in iron, magnesium and trace minerals and is easier to absorb than iron supplements. Ten grams of spirulina can supply up to 70% of the minimum daily requirements for iron. About 60% of spirulina’s dry weight is protein, which in the form it comes in within spirulina, is essential for growth and cell regeneration. It’s a good replacement for fatty meat and dairy products. Spirulina suppresses bad bacteria like E. coli and stimulates beneficial flora like lactobacillus and bifidobactria in the digestive tract to promote healthy digestion and proper bowel function. Healthy flora is one of the foundations of good health. It increases the body’s ability to absorb nutrients from the foods we eat and helps protect against infection. Spirulina has a completely unique composition of phytonutrients, including chlorophyll, phycocyanin and polysaccharides, that can help to purge toxins from the body. In 1994, a Russian Patent was awarded for spirulina, deeming it a medical food for reducing allergic reactions from radiation sickness. This was a result of 270 children in Chernobyl consuming five grams a day for 45 days. Radionucleides were lowered by 50% and allergic sensitivities were normalized. Spirulina is essential for removing heavy metals such as mercury, aluminum, lead, cadmium, and toxic copper from the liver, reproductive system, intestinal tract, thyroid, and brain. Getting rid of these metals gets rid of some of the most favored food of viruses, which are behind many chronic illnesses and symptoms, including autoimmune diseases. When consumed within 24 hours of each other, barley grass juice powder, spirulina, cilantro, wild blueberries, and Atlantic dulse provide the most effective method on the planet of removing heavy metals. These foods each have their singular strengths, performing slightly different roles in the detoxification process. During the removal process, metals can get “dropped” or dispersed back into the organs, at which point another member of the team will swoop in, grab the metal, and continue the journey toward the finish line. I call this “pass the football.” On its own, each individual player isn’t 100 percent effective; as a team, they are your anti–heavy metal secret weapon! Spirulina increases stamina levels in athletes and its rich nutrient content and bioavailable protein content helps build muscle mass. It can curb hunger that may develop during demanding training routines, helping to maintain an athlete’s ideal body weight. Other Potential Benefits: Promotes healthy eyes, great for anti-aging, helps protect against infection, great for digestive health, increases absorption of nutrients from food, eliminates mercury and other deadly toxins commonly inside the body, helps prevent the onset of cardiovascular diseases, and more. Healing Tip: High-quality spirulina is the best protein powder you can use in morning drinks and smoothies. Try having it in the Medical Medium Heavy Metal Detox Smoothie daily for tremendous benefits. It is the easiest to digest and by far the most beneficial out of all the protein powders. It deeply replenishes the body with much needed mineral and micro-nutrients. It’s a whole food vitamin and mineral and protein powder packed into one. Tasty Tip: Sprinkle over watermelon or add to Thai coconut water. Every single person today has a liver that needs proper care. Your liver plays a fundamental and critical role in your health and in what your health will look like in 20 years, even if you don’t suffer with any symptoms or illnesses right now or you’ve been told your liver is in good working order. There’s more to understand about your what’s really happening inside the livers of everyone today and what your liver needs from you to protect your health in the years to come. The liver is responsible for more than 2,000 chemical functions in the body (though science and research only believe it’s responsible for about 500). This highly intelligent, special organ works so hard for you, day in and day out. But your liver needs your help in order to do its many jobs, which ultimately keep you alive. Your liver needs the right foods, herbs and supplements to cleanse, detoxify and heal. And, very importantly, you need to know what not to do so you don’t make your liver’s job even harder. That’s why I wrote Liver Rescue: Answers to Eczema, Psoriasis, Diabetes, Strep, Acne, Gout, Bloating, Gallstones, Adrenal Stress, Fatigue, Fatty Liver, Weight Issues, SIBO & Autoimmune Disease, so you can have the information you need to take good care of your liver and protect your health and your family’s health. You’ll read new undiscovered information in Liver Rescue that will transform the way you think about your liver and what your body needs to recover from chronic symptoms and illnesses, as well as to prevent illnesses later in life. Because the truth is that nine out of ten people today already have a sluggish, stagnant, fatty, toxic or sick liver. And having a sluggish, fatty, overburdened liver plays a central role in almost every symptom and condition that people suffer with today. With the truth in your hands and the right nutrients and support, your liver can regain its health and work even more effectively to recover and prevent symptoms and illnesses. In order to care for the liver, it’s important to understand how it works. There’s a highway of blood called the hepatic portal vein that rushes from your gastrointestinal tract into your liver. This blood vessel brings vitamins, minerals, nutrients, hormones, oxygen, hydration and, unfortunately, troublemakers too. I talk in great detail about what I call the “Liver Troublemakers” in Liver Rescue. They’re hundreds of different toxins, pollutants, and pathogens like pesticides, herbicides, fungicides, prescription drugs, aluminum, lead, copper, mercury, viruses, bacteria and more. These are the toxins we’re surrounded by in our modern world and that we are even born into this world with (not because of genetics but because they are passed down from generation to generation through the family line). They’re what makes us sick. They’re what cause disease and chronic illness, including the conditions believed to be autoimmune diseases (learn more about the mistaken autoimmune theory in Thyroid Healing and Liver Rescue). The liver is a master at sorting out the good and the bad. It takes the good stuff—the nutrients and other helpful natural compounds—and puts them where they need to be used in the liver. Your liver is incredibly smart. It knows all about the compounds that are in a food as well as how to store or distribute those elements. Take the example of an apple. This incredible piece of fruit contains a living water that’s hydrating and nourishing for your liver and your entire body. The liver can take the special living water from that apple, compress it and store it until it needs to be used at a later date. Then when your body needs those elements or you are dehydrated, your liver can reactivate and rehydrate that living water and send it out into your bloodstream. This is all undiscovered information that medical science and research are unaware of. I want you to know how truly miraculous your liver is so you can take proper care of it. I explain exactly how to do this in Liver Rescue. The liver’s ability to orchestrate everything that comes in from that hepatic portal vein keeps you in balance, and it keeps your body functioning. It’s not known the science and research yet, but your liver also has its very own immune system to help protect itself and in doing so protect you. I have a chapter in Liver Rescue on your liver’s immune system with a full explanation of how it works for you. Your liver also identifies the liver troublemakers I mentioned (for a full list and explanation of each, see Liver Rescue) and works to neutralize and detoxify them. Neutralizing is a process where the liver makes the toxin less harmful, so that if the toxin travels through the bloodstream and especially to the heart and brain, it won’t cause major problems. The liver also holds onto some of the worst offenders and locks them away deep inside itself. It really doesn’t want certain toxins floating around your body and making their way to your heart or brain—these troublemakers are too dangerous. So they get stored away in deep pockets of the organ. But we need our livers to be healthy in order to do all of this well. If the liver is too overwhelmed by toxins and poor food choices (now or in the past), and if it’s become sluggish or fatty or weak, it can’t do its job properly. And your health begins to suffer or worsen even more. Even if you don’t have any symptoms or conditions right now, it doesn’t mean they are not in the process of developing internally. As I shared before, nine out of ten people have a sluggish liver and soon enough it will be ten out of ten people for all the reasons I share in Liver Rescue, so it’s essential that everyone knows what their liver needs and how to curb and heal the symptoms and conditions that can result. It takes the right kind of cleanse to help flush out the toxins from your liver, and in doing so to lighten the liver’s load. In Liver Rescue I share the Liver Rescue 3:6:9 Cleanse, which is specifically designed to work with your liver; not against it. This Cleanse is a gentle and safe way to pull out the toxins that are burdening your liver so it can effectively eliminate existing or incoming troublemakers—viruses, bacteria, chemicals and metals—before they make you sick. You can repeat the cleanse as many times and as often as you’d like. The Liver Rescue Morning I also share is an incredibly healing practice to bring into your life daily or as often as possible, also. Along with the different healing foods and supplements (with the suggested dosages I include in Liver Rescue) to help your liver heal and strengthen. It’s important to know that there are many different programs, cleanses, practices, flushes, and diets out there that are popular or said to help your liver. Unfortunately, almost all of them do not help the liver or are even harmful to it. It’s vital you know the truth about what the liver really needs from you and how to safely and effectively cleanse and support it. Learn more about harmful liver flushes and other liver misunderstandings and myths in Liver Rescue. What your liver needs to be healthy is oxygen, water, sugar and mineral salts. These elements, along with nutrients from fruits and vegetables, are what the organ craves. Interestingly, the liver can only take in the nutrients when they’re surrounded by sugar (glucose). Of course, I’m not talking about table sugar or corn syrup, I’m talking about the natural health-giving sugars in fruits, tomatoes, potatoes and squash. People who are on no-fruit or low-carbohydrate diets are unknowingly starving their livers and doing themselves a real disservice. If a nutrient comes in but it isn’t bound by a sugar, your liver will let it roll on by. Sugar allows the liver to take in the nutrient. Sugar is the fuel that helps your liver break down fat too. This may surprise you given how popular and trendy high fat and high protein and low carb diets (whether they are plant based or animal based) are today. While these diets have some benefits in the respect that they take our processed and junk foods, these diets are still problematic. I have a whole chapter on this topic in Liver Rescue because it’s so critical to understand so you know how to take care of your health. Your liver also needs natural sugars to keep cool. The liver is a naturally hot organ, but toxins and high protein, high fat diets make it hot in a toxic way. Glucose from fruits and carbohydrate-rich vegetables help it cool. The hot liver shoots a sludge of gunk, toxins, poisons and chemicals, along with cholesterol and bilirubin, into the gallbladder. The gallbladder is a naturally cooler organ, and its temperature is linked with the temperature of the liver. The hotter the liver gets, the cooler the gallbladder needs to get. When a too-hot liver leads to a very cool gallbladder, people experience symptoms like hot flashes and night sweats. These issues stem from the dynamic between the liver and the gallbladder. When the hot gunk cools in the gallbladder, stones form. That’s how people get gallbladder stones. In Liver Rescue I talk about the foods that dissolve those stones and clear the toxins too. Now that you know more about how the liver works, I want to share a few of the top foods, herbs and supplements that will help you cleanse, heal and take care of it. 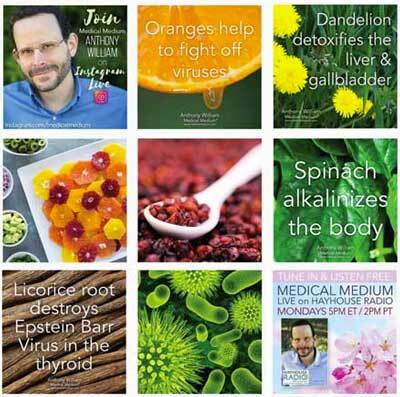 I cover many more in Liver Rescue, along with how they the help your liver and body, and also feature some delicious healing recipes that incorporate many of these special foods. Apples provide an active living water that hydrates the liver and supports the liver’s ability to hydrate your body. Apples also starve bacteria, yeast and mold out of the intestinal tract and liver. In doing so they keep sludge out of the gallbladder. Apples can also dissolve gallstones. Eat one to three apples a day (or more) if you can. Artichokes contain phytochemical compounds that inhibit the development of tumors and cysts in the liver. Artichokes also contain many chemical functions that help the liver neutralize toxins before they get to the brain or heart. They help the liver screen and filter your blood. Asparagus is high in flavonoids and powerful anti-inflammatory compounds—they’re like a natural aspirin. They also expel and dislodge fat cells and other poisons. Asparagus cleanses, detoxifies and soothes the liver. Bananas are antibacterial, anti-yeast, antifungal foods. The fructose in bananas provides a quick fuel for the liver—it’s one of the organ’s favorite food sources. Bananas also sooth the lining of the intestinal tract. Berries are a rich medicine chest for the liver. Your liver contains a type of cell known as Kupffer cells, and wild blueberries especially contain the kinds of antioxidants those kuppfer cells need. Raspberries, blackberries and blueberries are all powerful healing foods for your liver. Brussels sprouts are an ultimate liver cleansing food. You can eat them raw, steam them or even juice them. Brussels sprouts and other cruciferous vegetables have a special sulfur that expels poisons and pathogens from your liver. Celery contains undiscovered subgroups of sodium that I call cluster salts. These cluster salts protect liver cell membranes. They strip the cells of viruses down and bind onto free floating poisons. Drinking sixteen ounces of pure celery juice with nothing added on an empty stomach every morning is a powerful way to cleanse your liver. Cilantro binds onto heavy metals so you can safely eliminate them from your liver and body. Cilantro also contains phytochemical compounds that cling to other troublemakers, such as neurotoxins and dermatoxins, which end up in our livers. Cilantro is another liver cleanser. Cranberries do many jobs for the liver. They cleanse the deep parts of the liver. The harsh fruit acid in cranberries kills pathogens. They also have a tremendous amount of vitamin C that steps the oxidation of cells. Cucumbers are an ally for the liver. They provide a hydrating liver water just like apples. Cucumbers also cleanse the liver. Dandelion greens trigger a squeezing action in the liver that helps it release toxins. .
Lemons and limes improve hydrochloric acid (HCL) production in the stomach. They also cleanse fatty livers and help dissolve gallstones. Melons are an incredibly powerful cleansing food that also have the ability to hydrate the liver. It’s ideal to have melons early in the day and not after eating something heavy. Peaches remove old deep-seated poisons, debris and putrefied food in your small intestinal tract, which helps your liver get better. Oranges and tangerines provide a wealth of calcium and vitamin C that the liver can use since it’s combined with the glucose in the fruit. Pitaya, which is also called dragon fruit is a liver rejuvenator. It cleanses poisons from the organ. You can often find this red-fleshed food in the freezer department. Raw honey contains a combination of the sugars that the liver needs along with the minerals, vitamins and nutrients that restore the liver. Spinach has mineral salts and nutrients that help the liver. It also helps the liver receive vitamin B12 better. Tomatoes harness critical phytochemicals, micronutrients, vitamins and minerals that support the liver. The fruit acid in a tomato also helps the gallbladder eliminate some of the sludge that can sit in the bottom of the gallbladder. They also dissolve gallstones. Wild blueberries have pigments that reverse damage to the liver. There’s also specific supplements that are helpful for the liver to heal, cleanse and strengthen. When it comes to supplements there’s a huge range in quality and they’re not all created equal. I have listed the brands I like on my preferred supplements page on my website to help you source the highest quality products. Here’s a few of the supplements that support the liver with some of the ways they help. You can find a full list of them along with exactly how they help the liver in Liver Rescue. I also include suggested dosages for you to consider for many health conditions. 5-MTHF helps the liver receive B12. Ashwagandha is good for the liver and it strengthens the adrenal glands. B12 with adenosylcobalamin and methylcobalamin is critical for your liver and almost everyone is deficient in it. Even when blood tests show B12 levels are normal, you can still be deficient. Burdock root is very medicinal for the liver and it purges it on a deep level. You can find burdock root in the grocery store and consider juicing it or making a tea with it. Cat’s claw kills off pathogens and viruses that are in the liver. CoQ10 is a great antioxidant for the liver. Hibiscus contains antisine compounds, which is what gives it the red color, which helps bring the liver back to life. Lemon balm kills pathogens and bacteria. It also calms the liver and the nerves, so that your liver can relax enough to be cleansed. Spirulina pulls out toxic heavy metals that sit inside the liver and create a wealth of issues. Vitamin C strengthens all levels of the liver’s personalized immune system. The liver uses vitamin C in all of its over 2,000 chemical functions. Zinc plays a critical role in all 2,000 of the liver’s chemical functions. In addition to bringing more of these food and supplements into your life, I also encourage you to read Liver Rescue. Consider doing the Liver Rescue 3:6:9 cleanse and Liver Rescue Mornings. Thank you for becoming experts of your own livers and health. Your liver is all about saving your life and keeping you as healthy as possible for as long as possible. It simply needs your help to do its job. When you learn how to properly care for your liver and apply the information you learn, you are doing the very best you can for your health now and in the future. I’m so proud of you and I thank you for being here. Nothing brings me more joy than knowing you have the information you need to heal in your hands. Acid reflux means 3 things are happening: low hydrochloric acid production, unproductive bacteria such as strep and e. Coli & a weakened liver. Celery juice helps improve these. Pathogens are the true cause of the inflammation that’s mistakenly considered autoimmune. Celery juice’s undiscovered sodium cluster salts can break down & flush out these pathogens. The undiscovered sodium cluster salts in celery juice help keep your adrenals stable & functioning. Celery juice’s undiscovered sodium cluster salts act together as an antiseptic. When they make contact with viruses & bacteria—troublemakers responsible for chronic illness—the salts begin to break down the pathogens’ cell membranes, eventually destroying them. Celery juice’s sodium cluster salts bind onto neurotoxins, dermatoxins, & other viral waste, as well as troublemakers, & draw them out of the liver. Strep is responsible for many conditions, like acne, UTIs, SIBO, yeast infections, & more. Celery juice helps destroy strep. The white blood cells of the liver’s personalized immune system add the cluster salts to their cell membrane coatings, making them toxic to viruses. Celery juice purges a sluggish liver while bringing down liver heat. Celery juice is a powerful stomach acid replenisher so that gastric juices can kill strep, which causes SIBO. It also breaks down rotting protein & rancid fats in the stomach & small intestinal tract, helping bloating. Celery juice strengthens hydrochloric acid & bile production & strengthens the liver, which then allows for better bile production. Learn about the miraculous healing powers of celery juice in the new book Medical Medium Celery Juice. Celery juice starves the unproductive bacteria and viruses that are behind inflammation. Celery juice helps to clean up and detoxify the liver and a sluggish, toxic liver is behind mystery weight gain. Celery juice restores hydrochloric acid levels in the stomach for better long-term digestion. Celery juice prompts the liver to increase bile production and strengthens the stomach’s hydrochloric acid production. Old undigested, rotting protein and rancid fats trapped at the bottom of the stomach and in the small intestinal tract can then be broken down, helping bloating. The undiscovered cluster salts in celery juice break down the cell membranes of the pathogens responsible for eczema, eventually killing and destroying them. Celery juice enhances your entire body’s immune system. White blood cells absorb the sodium cluster salts in celery juice through their cell structure and then use them as an offense mechanism, not just a defense mechanism. Celery juice is an antiseptic to streptococcus bacteria, which is the true unknown cause of Urinary Tract Infections. Celery juice’s undiscovered sodium cluster salts are toxic to bacteria, including streptococcus in the liver and lymphatic system, which is the real cause of acne. Celery juice helps cleanse and strengthen the liver, and breaks up undigested rotting proteins and fats that contribute to a sluggish liver, which is behind high cholesterol. Celery juice helps destroy the bacteria responsible for ulcers. Your liver’s individual immune system relies on the undiscovered sodium cluster salts inside of celery. For more information on celery juice and how it can help you heal, refer to Liver Rescue. This combination of fresh juicy tomatoes, cucumbers and herbs piled on top of pip-ing hot baked eggplant makes for a heavenly meal for lunch or dinner. This recipe is very simple to make, making it perfect for busy weeknight dinners or an easy choice that will still delight your guests at a dinner party. Tomatoes contain their own variety of vitamin C that’s bioavailable to the lymphat-ic system and liver, supports the immune system to keep it strong against EBV, and prohibits viruses from traveling through the body with ease. When growing, tomatoes absorb and collect the moonlight’s frequency at night. This means that when consumed, tomatoes strengthen the thyroid’s radio-like frequencies, helping to create balance and homeostasis with all of the body’s organs and glands. Cucumbers strengthen the adrenals and kidneys and flush viral neurotoxins out of the bloodstream. They hydrate the lymphatic system allowing for better cleansing. Cucumber hydration can slow down and even stop a fresh mononucleosis infec-tion. Onions are one of the most accomplished foods on the planet for keeping down bacterial overgrowth in the body, making them a star for anyone who deals with SIBO. The sulfur they contain (including the phytochemical allicin, other organo-sulfides, and sulfur compounds that haven’t yet been uncovered in research) is part of what makes onions nature’s antibiotic. It’s also responsible for ridding the body of radiation exposure, casting out viruses, and drawing out DDT and other pesticides, herbicides, and toxic heavy metals. In a small bowl, mix together the lemon juice, ground cumin, ground coriander and red pepper flakes. Arrange the eggplants on a baking tray and score the flesh with a sharp knife. Sea-son with salt and pepper, then brush on the lemon and spice mixture. Roast the eggplants in the oven for 30-40 minutes, until fork-tender. While the eggplants are cooking, make the salad by combining the tomatoes, cu-cumber, red onion, mint, parsley, lemon juice, salt and pepper in a bowl and mix well. Take the eggplants out of the oven and top with the salad. Sprinkle on fresh pars-ley for garnish. Serve immediately with an optional tablespoon of tahini on each. Humble potatoes are an amazing food not only for health (when served without butter, bacon, sour cream, rancid oils and the like,) but also because of the satiety they offer and the variety of ways they can be prepared and enjoyed. In this recipe, potatoes are the star of both the fries and the fat-free, dairy-free nacho cheese dipping sauce. This recipe is simple to make and oh so delicious. Pair it with a leafy green salad for optimal digestion and nutrient assimilation and you have a dinner that will please the whole family. This recipe is also a great choice for a movie night with friends. Potatoes are also high in potassium and rich in vitamin B6, as well as a fantastic source of amino acids, especially lysine in its bioactive form. Lysine is a powerful weapon against cancers, liver disease, inflammation, and the viruses such as Epstein-Barr and shingles that are behind rheumatoid arthritis, joint pain, autoimmune disease, and more. Potatoes will be your allies if you’re looking to fight any chronic illness—to fend off liver disease, strengthen your kidneys, soothe your nerves and digestive tract, and reverse Crohn’s, colitis, IBS, or peptic ulcers. In addition to being antiviral, they’re antifungal and antibacterial, with nutritional cofactors and coenzymes plus bioactive compounds to keep you healthy and assist you with stress. Further, potatoes are brain food that helps keep you grounded and centered. Preheat oven to 400F. Cut the potatoes into thick fries, then place them in a bowl with paprika, garlic powder, dried oregano and sea salt. Toss to coat. Arrange the potatoes on a baking tray covered with parchment paper so that there’s space between the fries. Place in the oven and bake for 20-25 minutes, until browned, flipping them half way. To make the sauce, add a couple of inches of water to a medium-sized pot and place a steaming basket in it. Add the diced potato and carrot, cover and cook for 25-30 minutes until soft. Remove from heat and set the steaming water aside. Place the cooked potatoes and carrots in a blender with turmeric, garlic powder, cayenne, lemon juice, sea salt, pepper and the steaming water. Blend until very smooth. Serve in a bowl with the fries. Zucchini Noodle Bolognese - With the complex flavor of tomatoes and garlic combined with the earthy mushrooms and bold spices of chili powder and cumin, this bolognese is a delicious raw take on the traditional dish tha..
Aloo Matar - The ultimate comfort food, this Indian inspired dish is packed with peas and potatoes in a mild tomato curry. The warm spices of curry powder and garam masala are added to the subtle hint of ..
Healing Power of Kiwi - If you’re concerned about regulating blood sugar, turn to kiwis for support. Kiwis are an amazing food for diabetes, hypoglycemia, and hyper- glycemia. Whether your blood sugar levels a..
Garlic Tahini Dressing - Whether you love garlic or take pains to avoid it, one thing’s for certain: garlic deserves to be heralded as medicine for our world today. Used to enhance vitality since ancient times,..
Raspberry Jam Tart - It doesn’t get more simple and delicious than this picture perfect raspberry tart. And it’s so full of amazing ingredients that you can even eat it in the morning for breakfast! T..
Deep-Dish Apple Pie - This apple pie might make a beautiful finish for any holiday meal but is great to enjoy anytime of year. It takes a little work to thinly slice all those apples, but the result is well worth ..
Pumpkin Pie - Who doesn’t love a classic pumpkin pie? Smooth, creamy, loaded with fall flavor, this healthy take on the American classic leaves nothing to be desired. Make the full pie or just use th.. Stuffed Onions - Leeks, chives, ramps, scallions, red onions, yellow onions, white onions, shallots, and any other type of allium you enjoy are nature’s antibiotics. Unfortunately, people don’t of..
Healing Cranberries - Cranberries are well known for their profound antiseptic role in healing urinary tract infections and yeast infections. That power comes from cranberries’ ability to fight Streptococcus..
Pomegranate Bark - Pomegranates are popular, known especially for being high in antioxidants. What doesn’t get enough attention is what a godsend this fruit is for dissolving gallstones and kidney stones,..
Nachos Potatoes - While traditional nachos may involve chips, these soft and golden "Nachos Style" Baked Potatoes from my book Thyroid Healing (http://amzn.to/2mfPiJ0) leave nothing to be desired. Cooked perfe..
Foods That Heal Thyroid - We have been told for decades by authorities that food has nothing to do with healing. In fact, only in the very recent past has modern medicine started to discuss foods as a way to prevent i..
Wild Blueberry Pancakes - Who doesn’t love pancakes—especially when they are packed with only the very best ingredients? These delicious pancakes featured in my book Thyroid Healing may well become a weeke..
Thyroid Healing Broth - Sometimes it can feel challenging to stick to healthier ways of eating when all around you, others seem to indulge in less-than-productive foods. With this antiviral, mineral-rich broth—..
Apple Porridge - There’s something so delightful about starting the day with a simple bowl of hearty goodness that’s specifically geared to help you heal. This flavor-packed Apple Porridge skips t..
Raspberry Cookies - Healing doesn’t mean that you can’t enjoy a sweet treat when you need one! The Raspberry Thumbprint Cookies I am sharing with you today are delicious and have none of the harmful ..
Healing Power of Parsley - Though it could technically be grouped with the other aromatic herbs, parsley is in a class of its own because of its skill at alkalizing all the body systems. You’ve no doubt heard of ..
Honey Peach Pie - Peaches are a wonderfully hydrating and mineral rich fruit that are easy to digest and rich in beta-carotene, vitamin C, iron, calcium, magnesium, zinc, and bioflavonoids. They have powerful ..
Mango Tart - Mangos are one of the most popular and nutritionally rich fruits in the world and are often referred to as “The King of the Fruits”. Mangos are an amazing source of vitamins A, C,..
Wild Blueberries - It’s easy to get swept up in the belief that the ultimate healing food is hiding somewhere in the tropical wilds. We read about researchers who scour the jungle for miracle roots and be..